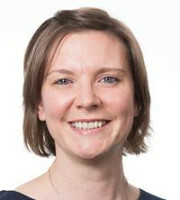 Lucy Walker has extensive expertise advising clients in a wide range of traditional trademark matters, providing strategic and tactical forward-thinking advice on filing programmes, filing and prosecuting applications worldwide, advising on the freedom to use and register trademarks, the policing and enforcement of rights domestically and internationally, due diligence reviews, complex IP issues in liquidation proceedings, and the negotiation and drafting of agreements and licences. Ms Walker is also well versed in non-traditional types of trademark law, including handling customs matters and domain name complaints. In particular, Ms Walker has vast experience in proceedings before Nominet and the Internet Corporation for Assigned Names and Numbers, with respect to actions regarding the registration of abusive domain names, with a 100% success record. Ms Walker works with a wide range of clients, from large multinational enterprises to smaller companies, start-up businesses, sole traders and individuals across a number of sectors, including automotive, education, travel, health and nutrition. She prides herself on her ability to provide clear and practical advice tailored specifically to meet her clients’ IP needs, balanced with their commercial and financial requirements, no matter how big or small. Able to hit the right commercial approach in an efficient and responsive, yet well-considered manner, Ms Walker is often viewed not as an external services provider but as part of the client’s in-house legal team. 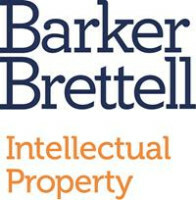 After completing a law degree, Ms Walker qualified as a trademark attorney in 2008 and became a partner at Barker Brettell in 2012. She is a member of the Chartered Institute of Trademark Attorneys (CITMA), an EU Intellectual Property Office representative and a regular speaker at conferences and seminars, including at the United Kingdom’s largest automotive event, Automechanika. In addition, she is committed to furthering the education of future trademark attorneys by lecturing in various undergraduate and postgraduate university courses and is an active member of CITMA’s education team for trademark paralegals, acting as a lecturer on the course and an official examiner, meaning she is fully versed in the latest trademark case law.